* 7 inch capacitive touch screen, better than the normal, the touch screen reacting fast with no delay.The color feels natural, comfortable for your eyes. 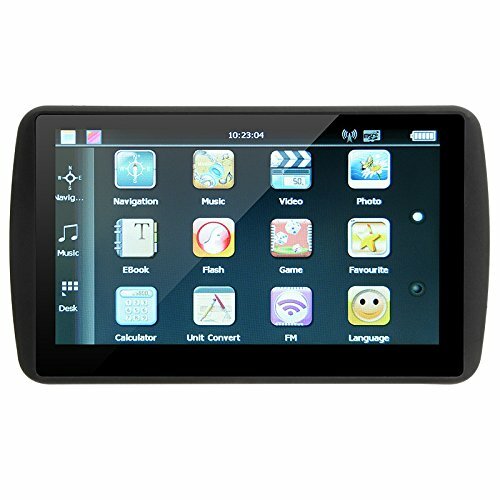 * Comes with 8GB built-in memory which is more than enough for the GPS software and also for a few movies. * Stay up-to-date on road changes with free lifetime map updates. * MP3 and MP4 function can relieve your fatigue.Support Up to 32GB TF Card(not included). It can communicate with computer through USB cable. * Supports 7 vehicle type, including car, truck, pedestrian, bicycle, ambulance, bus, taxi. You can select according to your vehicle type.